Underpinning is not only applicable to residential homes, but it can also be used for commercial projects in the District of Columbia. The same reasons for foundation failure in homes are often found in commercial structures. Foundation settling and sinking can be caused by expanding or contracting soil, poor soil conditions, and poorly compacted soils. Regardless of what is causing a settling foundation, it can damage a building’s structure and compromise its value. Matthews Wall Anchor offers a complete line of underpinning methods for existing and new construction applications in the District of Columbia. We repair settling foundations, sinking floors, leaning or bowing walls, cracking walls, and other structural issues. We offer piling solutions, such as helical piles, micropiles, and augercast piles. These are a cost-effective and practical way to stabilize your foundation quickly in many types of soils. 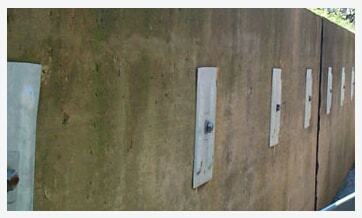 Our underpinning methods include steel push piers. Our piers range from the 300 ECP Series to the 400 ECP Series. They are designed to prevent and eliminate foundation failure and can reach deeper depths than other piers. We offer shoring solutions for new and existing retaining walls. They help stabilize cracking and bowing walls for many years to come. Other benefits of shoring are that it uses soil nails and requires minimal excavation and disturbance to the site. The experienced engineers at Matthews Wall Anchor will provide you with a commercial structure that is energy efficient, strong and stable, ergonomic, and durable. Since the 1980s, we’ve been providing piling and anchoring solutions for deep foundations, structural underpinning, and retaining wall shoring. We use ECP products, the leading manufacturer in underpinning. Contact us today if you need commercial foundation repair in the District of Columbia area.